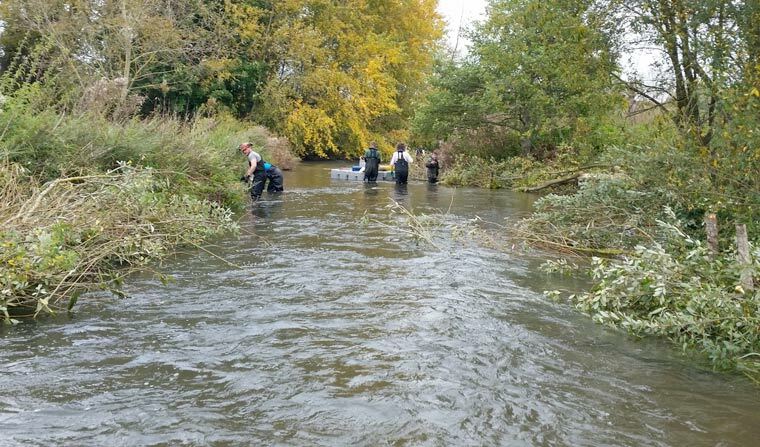 The Environment Agency has been praised for an ambitious restoration project on Hampshire’s famous River Avon having qualified as a finalist for the top UK River Prize. A project to restore the River Avon Special Area of Conservation (SAC) to a natural river system supporting chalk stream habitats and wildlife to meet the government’s obligations under the EU Water Framework and Habitats Directive has qualified as a finalist in the 2017 UK River Prize. The national competition celebrates the most innovative river projects across England, Scotland and Wales. The Agency’s ‘whole river approach’ to restoration and natural flood management impressed judges who voted it the best entry in the ‘catchment category’. As category winner, the Hampshire Avon project automatically qualifies as a finalist. The Environment Agency is up against three other finalists vying for the top UK River Prize. The overall winner will be announced at a special ceremony in Brighton next month and presented with a trophy and cash prize. “This is a well-earned recognition for the efforts of many people and organisations working together to help realise the vision for the Avon catchment – and a great springboard for the next phase of the programme, where we would like many more to be involved,” said Russell Spencer for the Environment Agency. The aim of the project was to restore reaches of the river most damaged in the past by man-made physical changes including the straightening or dredging of the river channel and construction of weirs and sluices. Various methods have been used to improve habitats and restore natural flows and functions including the removal, modification and bypassing of structures and re-alignment of the river to more natural positions in the floodplain. Led by the Environment Agency, the project is supported by a number of organisations including Natural England, Wiltshire Wildlife Trust, Wessex Chalk Streams and Rivers Trust, Wessex Water, Wiltshire Fishery Association, National Farmers Union and Hampshire & Isle of Wight Wildlife Trust. The restoration started in 2012 and will culminate in the completion of Phase 1 of the project later this year. Further work is needed to restore the remaining 185km of river and enable the catchment to respond and adapt to climate change.